Your advocacy is needed TODAY! 2. The Senior account also contains nursing home bed hold language requiring nursing homes to hold beds for medical leaves not less than 10 and up to 20 days. (Again, this applies to nursing home residents whose care is covered by MassHealth. This bed hold is critical for quality of life and dignitiy, allowing residents to return to the same bed and room they resided in when they were hospitalized. The nursing home is their home, just like your home or mine, and it can be devastating to one's mental and physical well-being if they lose their "home" due to a hospitalization. This would be more likely if the bed-hold provision was not retained. 3. The budget requires written informed consent of a nursing home resident or his guardian/health care proxy prior to the administration of psychotropic medication. This is an important protection for nursing home residents, and this written informed consent ensures that such drugs will not be administered just to make residents easier to deal with, or to avoid the cost of implementing other measures to deal with the symptoms for which these medications have been abused in the past. 4. The budget requires the Department of Public Health (DPH) to implement a public process for the granting of nursing home licenses and transfers of ownership. Many of you are aware that I am very involved with the Massachusetts Chapter of the National Academy of Elder Law Attorneys (MassNAELA), and I am currently serving as the Chapter's President-Elect. MassNAELA has approximately 500 members in the Commonwealth - attorneys who practice in the areas of Elder Law and/or Special Needs Planning. In addition to the dedicated members of the Board of Directors, MassNAELA has several Committees comprised of member volunteers who focus on various areas of advocacy and education to protect the rights of seniors and people with special needs in the Commonwealth. One of our most important efforts relates to litigation of wrongful denials of MassHealth and Medicare coverage, and several years ago we developed a Litigation Initiative to develop a cohesive approach to defend against the systemic abuses in the application process for public benefits. One of our leaders and mentors in this effort has been Attorney John Ford and his colleagues at Neighborhood Legal Services. John was one of the original members of MassNAELA and is a former President of the Chapter, and he has devoted his entire career to legal aid services - over 45 years! John has brought his decades of experience in litigating issues affecting elders to provide guidance and mentorship to other MassNAELA members whose clients have been faced with wrongful Denials and a lack of Due Process. However, John and his colleagues at Neighborhood Legal Services, like all Legal Services agencies, have been hit by hard times. Budgets have been slashed, staff cut, and remaining staff forced to take time off without pay at times to save other positions. Whether you realize it or not, you or your loved ones in Massachusetts have likely benefitted from the commitment and dedication of John Ford and all of the other attorneys and staff at Neighborhood Legal Services. And, their advocacy and guidance has been invaluable to MassNAELA's public policy and litigation efforts, helping us to ensure that the rights of seniors and people with special needs are upheld. Neighborhood Legal Services has been there for people in need, and now they need us to be there for them. PLEASE join me in making a donation - any amount you can afford - to Neighborhood Legal Services. They recently moved to a new location in order to cut their rent expense in half, but they had to take out a loan to pay for the up-front costs. They need our help to pay back the loan so they can focus on what they do best - providing legal services to the poor and advocating for seniors through their Elder Law Project. Check out their website at www.neighborhoodlaw.org, and please visit their fundraising campaign website at http://igg.me/at/Help-NLS-Move-Office/x/4646373 to make a donation. Every little bit will help. Thank you! Once again I have encountered the infuriating problem of "Observation Status." A client's loved one was admitted to a Boston hospital as a result of a crisis. I instructed my client to confirm that his father had been formally "admitted" to the hospital, and his response was a bit incredulous. "Of course he was admitted -- he has been in the hospital for four nights!" His response was completely logical, of course, but my concern was realized when my client confirmed that the hospital still had his father listed on "Observation Status." Unfortunately, most people are not working with an attorney and do not find out about this problem until much later when they are charged for various prescriptions and services they received in the hospital or, worse, when they receive a huge bill from the nursing home. It is far more difficult to successfully appeal the "Observation Status" at that point, but an appeal should be pursued. In the meantime, you need to know your rights and advocate for yourself. There are a number of self-help packets (and a wealth of information on this and other topics) on the Medicare Advocacy website at http://www.medicareadvocacy.org. Call me at 781-681-6638 if you need advocacy to protect your rights on this or a related issue, or you can find an elder law attorney in your area through the website of the Massachusetts Chapter of the National Academy of Elder Law Attorneys at www.massnaela.org. Education is the best defense! Please share this information with your friends and family to prevent them from being the next unsuspecting victim of this illegal practice. Rockland- Aging is BIG business. The key word here is "business." With the demographics as they are, people living longer, boomers coming of age, new products and services are introduced each day for seniors and their caregivers. Many of these products and services are fantastic and live up to their promises. Others, however, rely on fancy web sites and literature, celebrity endorsements and microscopic disclaimers to make a sale. These tactics are successful because they play on the vulnerabilities of the target audience, often when they are most overwhelmed and desperate for help. Perhaps you are caring for your spouse who is suffering from Alzheimer’s or some other chronic condition. Maybe you are looking for guidance because your parents are no longer safe in their home. Whatever your situation, you need to be an informed consumer. You’ve got to ask some important questions in order to properly assess whether a product or service is right for you or your loved one. In this first of a three-part series, we’ll discuss some of the hidden issues and questions that seniors and their caregivers need to consider asking in order to make educated, informed decisions. Let's start by dispelling the myth that anything in business is "free." Let’s face it - if something was truly free, the provider would be a charity rather than a business. Once you accept that businesses exist to make money, you will want to understand how companies are being paid in order to determine whether the product or service will benefit you. You need to ask questions and demand answers. Below are a few common examples. 1) If you do not recommend or endorse any of the facilities you will refer me to, what are the criteria that you use? Is it solely that they pay a fee for the referral? 2) How much will you be paid by a facility if my loved one is placed there? 3) Are there other facilities in the area that you have not referred us to and, if so, why not? Is it solely that they have not agreed to pay a fee for the referral? 4) Will you put the criteria you are basing the referral on in writing? 1) Do the “experts” on your site pay to be designated as experts? 3) Do providers (geriatric care managers, elder law attorneys, facilities, etc) pay to be listed on your site, or to be highlighted or listed first in search results? 4) How do you ensure that the information listed on your site is current and accurate? 5) Can you guarantee the security of any personal information I provide through the site? How? 6) Do you share my information with any other person or entity? 7) Do I have to register or sign up in order to use the site? One site that I recently tested asked for far too much personal information. In order to request information from a specific elder law attorney, for example, site users are asked to provide the name of the person they are concerned about and the details of their condition. It is unclear who receives the inquiries submitted online or whether this personal information is protected. This particular site also offers a forum for family members to share information and communicate about their loved one – to list doctor appointments and medications, post estate planning documents, etc. This sounds great in theory, but there is no guarantee that the communications are private or secure. There are a number of other forums where family members can communicate without going through a web-based senior planning site such as this, and I caution you not to provide any personal information on such a site unless your questions are answered to your satisfaction, preferably in writing. Personally, I believe the best way to contact a professional is directly, with no third-party intermediary. The best resource to find an elder law attorney is through the Massachusetts Chapter of the National Academy of Elder Law Attorneys, at www.massnaela.com (or www.naela.org in other states). 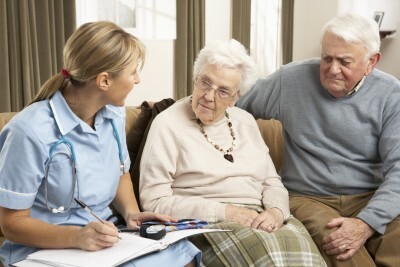 A qualified geriatric care manager can be found through the National Association of Professional Geriatric Care Managers at www.caremangers.org. You can research assisted living facilities through www.massalfa.org (Mass Assisted Living Facilities Association), and nursing homes through www.medicare.gov/nursinghomecompare. Nursing Home Compare provides you with the most recent inspection results for all nursing homes in the state, including any deficiencies you should be aware of. There is nothing wrong with companies trying to make a profit by providing products and services that address the needs of seniors and their caregivers. But, it is up to you to look beyond the celebrity endorsements and glitzy marketing. It is up to you to determine if “experts” earn their designation through knowledge and experience, or by paying a fee to be listed as such; whether a referral service will refer you only to facilities that pay a fee to be included. If the fancy marketing and celebrity endorsements give you one impression, but the fine print says something completely different, you need to ask questions and demand answers before proceeding. Remember, businesses are in business for one reason - to make money. You must understand how they are being paid in order to truly understand if the product or service offers value to you. Note: In our next post, we will discuss financial services sales and MassHealth application prep services. BOSTON – October 31, 2012 – The Massachusetts Chapter of the National Academy of Elder Law Attorneys (MassNAELA) today announces a legislative victory for seniors, as Governor Deval Patrick has signed into law a bill protecting individuals from losing their homes if they choose to use long-term care insurance for community-based care before entering a nursing home. Bill S.2359 grants an exemption from MassHealth estate recovery claims whether an individual uses their long-term care insurance for at-home or nursing home care. Prior to this bill, the MassHealth estate recovery exemption only applied when long-term care insurance policies were used for nursing home care. Working with Senator Harriette L. Chandler, MassNAELA advocated for the passage of this bill, part of which was originally filed in 2005. The bill, signed into law by Governor Patrick as “An Act Establishing Standards For Long-Term Care Insurance,” also includes important consumer protection for purchasers of long-term care insurance. The Act enables MassHealth Medicaid recipients who have purchased long-term care insurance policies to use their policies for home care coverage without forfeiting estate recovery protection. This legislation allows seniors and disabled persons to seek care in their home instead of nursing home care and reinforces the incentive to purchase long-term care insurance. An advocate for quality of life for seniors, MassNAELA has filed several bills and been a significant force behind legislation focused on improving the ability of elders to remain financially independent and in their home while dealing with the cost of long-term care. In 2008, the organization won passage of H.975, a bill exempting MassHealth applicants from paying fees for retroactive bank records, which was signed into law by Governor Patrick as Chapter 125 of the Acts of 2008. The National Academy of Elder Law Attorneys, the premier organization of elder and special needs law attorneys in the country, is dedicated to developing awareness of issues concerning the elderly and those with special needs. Over 500 attorneys are members of the Massachusetts Chapter, which comprises 12% of all NAELA members nationwide. They work directly with the elderly and those with special needs in areas as diverse as planning for catastrophic care costs, disability planning, age discrimination in employment and housing, benefits planning, estate planning, veterans’ benefits and more. For more information about MassNAELA, visit www.massnaela.com. "Jimmo" - An End to the Unlawful "Improvement Standard" In Sight! I've been following and periodically providing updates on a class action lawsuit known as "Jimmo v. Sebelius" (Kathleen Sebelius, Secretary of Health and Human Services), which was filed in The United States District Court for the District of Vermont. Plaintiffs include six individual Medicare beneficiaries and seven national organizations (including the National Committee to Preserve Social Security, Parkinson's Action Network, Paralyzed Veterans of America, American Academy of Physical Medicine and Rehabilitation, Alzheimer's Association, and United Cerebral Palsy). Plaintiffs alleged that the Secretary has adopted an unlawful and clandestine standard to determine whether Medicare beneficiaries are entitled to coverage, resulting in the wrongful termination, reduction, and denial of Medicare coverage for beneficiearies with medical conditions that are not expected to improve. Plaintiffs alleged that this unlawful standard is implemented at the lower levels of Medicare's administrative review process, and denies coverage where the beneficiary needs "maintenance services only," has "plateaued," or is "chronic," "medically stable," or not improving. This "rule of thumb" or clandestine policy is what plaintiffs refer to as the "Improvement Standard." If you or a loved one has ever been in a rehabilitation facility, you have probably received such a notice. This Improvement Standard is contrary to the Medicare Act and federal regulations and precludes coverage for beneficiaries with conditions that are not expected to improve or that have not improved over the course of treatment. Plaintiffs allege that this standard has been implemented without proper rulemaking procedures against beneficiaries that have little or no understanding of its application and no ability or reasonable opportunity to confront it. Well, we have GREAT NEWS to report!! The Center for Medicare Advocacy and the Centers for Medicare and Medicaid Services (CMS) have agreed to settle the "Jimmo" case, also known as the “Improvement Standard” case, and have filed a proposed settlement agreement with the Court. If the judge approves the proposed agreement, a process that could take several months, the Medicare Benefit Policy Manual will be revised to correct any suggestion that continued coverage is dependent on the beneficiary improving. CMS will undertake an Educational Campaign to inform providers, contractors, and adjudicators that they can not base coverage on the potential for improvement, but on the need for skilled care. Bravo to the attorneys from the Center for Medicare Advocacy and Vermont Legal Aid, who have undertaken this cause on behalf of the Plaintiffs. This unlawful "Improvement Standard" is an issue elder law attorneys and their clients face on a daily basis, so this is fantastic news! If you are interested in viewing the proposed settlement agreement, you may view it here. 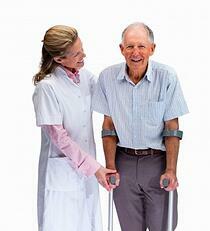 Long-term care planning is a significant part of most elder law practices. While the ideal clients seek counsel long before there is a crisis, the usual clients do not. It is in these crisis situations that clients benefit most from an elder law attorney's knowledge of the resources available in their communities and an understanding of the medical and financial criteria for eligibility. PACE, the Program for All-Inclusive Care for the Elderly, is a national comprehensive health program created to help elders remain at home as long as possible. While PACE is a valuable resource for many elders, it remains a fuzzy concept for many attorneys and is, thereby, under utilized. WHO IS ELIGIBLE FOR PACE? In order to be eligible for PACE, applicants must be 55 years of age or older, live in a PACE service area as outlined above, and must be certified by the state as eligible for nursing home care but able to safely remain in the community with the additional supports PACE offers. Members must also agree to receive all health services exclusively through the Elder Service Plan. While many elders are initially hesitant to give up their primary care physicians or other medical professionals, it is the interdisciplinary team model of PACE that allows each member to maximize his or her potential to remain in the community and ensures that nobody falls through the cracks. HOW IS PACE FUNDED AND WHAT SERVICES DOES PACE COVER? PACE is jointly funded by Medicaid (2/3) and Medicare (1/3) in a capitated system. In other words, Medicaid and Medicare each pay a set rate per member per month. Medicaid presently pays $3,497 per member per month, with the Medicare rate dependent on the diagnosis codes of each member. Each PACE program must offer a number of Core Services, and may offer elective services based on the various needs of their members. This flexibility allows each program to customize individualized care plans designed to help each member maximize his or her potential. Interdisciplinary teams of doctors, nurses, social workers, therapists, nutritionists, and other medical staff work together to provide primary medical care, home health, adult day health (recreation), rehabilitation services, transportation, medications, podiatry, optometry, dental, social services, and more. While the majority of PACE services are provided at an adult day center to encourage socialization and activity, services are provided in the home when appropriate. Some PACE programs offer residence in certain Assisted Living Facilities. PACE members never pay more than their income for a PACE apartment in an assisted living facility. If nursing home care becomes necessary, it is paid for by PACE and PACE continues to coordinate the member’s care, so long as the member does not disenroll from the PACE program. WHAT IS THE FINANCIAL CRITERIA FOR MEMBERSHIP? PACE accepts Medicare, Medicaid, and private payment. For married couples, only the income and assets of the applicant are countable. For members with monthly income of $2,094 or less per month, there is no monthly spenddown and they can keep the entire $2,094. For members who have income over $2,094, there is a monthly spenddown to $542. Members with monthly income over $4,039 (which represents the MassHealth amount of $3,497 plus the deductible of $542) would pay privately, while members with income below $4,039 would apply for MassHealth in order to keep the $542 monthly. Private pay members pay only the portion that Medicaid would pay, or $3,497 per month. WHY SHOULD YOU CONSIDER JOINING PACE? The most significant reason that PACE is appealing is that its primary goal is to provide each member with the individual supports needed to remain in the community as long as possible. Another benefit to consider is that PACE is covered by Community MassHealth, under which transfers of assets are presently not penalized. Therefore, for people who have not done prior planning who are suddenly faced with the need for long-term care services, the option of joining PACE should be explored for 1) quality of life issues and 2) additional planning options. In addition, the application process for Community MassHealth/PACE is far less burdensome than the long-term care MassHealth application, requiring only a few months of financial statements to verify assets (as compared with up to five years of verifications for long-term care MassHealth). Members are free to disenroll from PACE at any time. PACE is not for every body, but if you are fortunate enough to live in a PACE service area, this is an option that warrants consideration. Call my office at 781-681-6638 if you are interested in exploring the PACE program to help you remain safely in your home. "I'm never going to a nursing home." "I have my child's name on all of my accounts, so the state won't count those funds"
"I'm a veteran, so the VA will take care of all of my long-term care needs." "My kids will take care of me." "I don't have enough assets to worry about." "I put my daughter's name on all of my accounts and she will divide everything equally among all my kids when I die." "I have my assets in a revocable trust, so they are protected." "I am leaving everything to my son so he can take care of my child with special needs." "I don't want to hurt any body's feelings so I just won't do any thing." You've probably used a few that aren't on this list too. But, guess what? LATER has come. LATER is TODAY. The Elder Law Office of Judith M. Flynn has developed a new workshop to help seniors get their affairs in order. The Legal Check Up Boot Camp (c) is a free, comprehensive workshop to give seniors all the knowledge they need about Estate and Long-Term Care Planning. This workshop will empower the attendees to stop procrastinating and finally take control of the decisions they have been avoiding for too long. This four-hour workshop will be taught in two sessions of two hours each. Part of the workshop will be interactive to allow attendees to discuss particular problems, concerns and situations. Each attendee will receive a workbook and will "graduate" from the Boot Camp with a detailed, comprehensive plan of action. The Patrick administration has struck a $26.75 billion deal with the Obama administration that the governor says will set the stage for a "new round of innovations" in Massachusetts's health care system and that federal officials say will serve as a precursor to sweeping changes in the way health care is delivered in the Bay State. The deal, a three-year Medicaid pact authorized by the U.S. Department of Health and Human Services, represents a $5.69 billion, 26.2 percent increase over the last three-year deal, which was approved by the administration of President George W. Bush in 2008. The last waiver deal, a three-year pact approved in 2008 by the Bush administration, was valued at about $21.2 billion and hailed as a victory for state health programs by Gov. Deval Patrick and U.S. Sen. Edward Kennedy. The new deal was reached last week when Patrick met with U.S. Secretary of Health and Human Services Kathleen Sebelius in Washington D.C., and details were finalized in the days since the meeting, according to an administration official. MassHealth, the state's Medicaid program, provides 1.3 million low-income or disabled Massachusetts residents with subsidized coverage and has been a major part of the state's efforts to provide near-universal coverage. Under the terms of the deal, also known as a Medicaid waiver, safety net hospitals in Massachusetts - including Boston Medical Center and Cambridge Health Alliance - will be required to make major changes to the way they deliver health care in order to access a $120-million-a-year pot of funds. The changes include moving away from a health care system that pays doctors based on the volume of tests they perform, rather than the health outcomes for their patients. Gov. Patrick has pressed lawmakers to act on a bill that would make this shift the norm in the Massachusetts health care industry, but the Legislature has deferred action until next year. Under the waiver, Massachusetts will establish a pilot program aimed at expanding coverage for pediatric asthma services. This provision of the waiver closely mirrors a Medicaid program adopted in a state budget 18 months ago aimed at preventing unnecessary hospital admissions for pediatric asthma patients. The state will also "streamline eligibility procedures" for about 140,000 parents with children who receive food stamps, and the waiver also covers expanded "early intervention" services for children with developmental delays and disabilities. Massachusetts officials also withdrew a number of requests, according to the federal Centers for Medicare and Medicaid Services, which sent a letter to Patrick administration health and human services chief JudyAnn Bigby. The withdrawn proposals include integrated care for residents eligible for both Medicare and Medicaid, which the Patrick administration plans to tackle independently. The administration had also requested the ability to increase pharmacy co-pays "above allowable State plan levels" and to institute a co-pay for non-emergency medical transportation," according to the letter. The Medicaid waiver, a critical element of Massachusetts health care financing scheme, was due to be finalized in July, but negotiators sought a series of one-month extensions, unable to reach agreement as news of major pressure to cut federal spending dominated the dialogue in Washington. Proponents of the deal said it would preserve the state's health care programs established in 2006, when Gov. Mitt Romney signed a health care law intended to guarantee access to insurance for nearly all Massachusetts residents. Since the law was signed, about 411,000 previously uninsured residents obtained health care coverage, and the Patrick administration estimates that 98 percent of all residents are insured. The cornerstone of that legislation, a health insurance exchange called Commonwealth Care, served as a model for exchanges included as part of the federal Affordable Care Act signed by President Obama nearly two years ago. Commonwealth Care helps enroll low-income residents in heavily subsidized private insurance plans. Commonwealth Care and a separate program that covers care for a diminishing pool of uninsured residents will receive $500 million a year, under the new waiver deal. The Patrick administration has also committed to implementing all provisions of the Affordable Care Act by Jan. 1, 2014, when most major provisions of the federal law take effect. The waiver may carry some political significance heading into a presidential year, as Romney campaigns for the Republican nomination to take on President Obama. Romney has repeatedly been forced to defend the health care law he signed as an affordable plan that works for Massachusetts. But critics say the state's programs survive because of a broad lifeline provided by the federal government, a critique unlikely to be quelled by the major increase in Medicaid funding announced Tuesday. A great decision just came down from The United States District Court for the District of Vermont in the class action lawsuit known as "Jimmo" vs. Kathleen Sebelius, Secretary of Health and Human Services. The Defendant's Motion to Dismiss the case for Failure to State a Claim was DENIED. © 2014 TheLegalCheckUp.com. All Rights Reserved to the Elder Law Office of Judith M. Flynn. This site must be labeled as "advertising" in accordance with rules established by the Supreme Judicial Court of Massachusetts. It is designed to provide general information and resources and should not be used as a substitute for competent legal advice by an attorney licensed to practice in your state. No attorney/client relationship is formed by your use of this site.